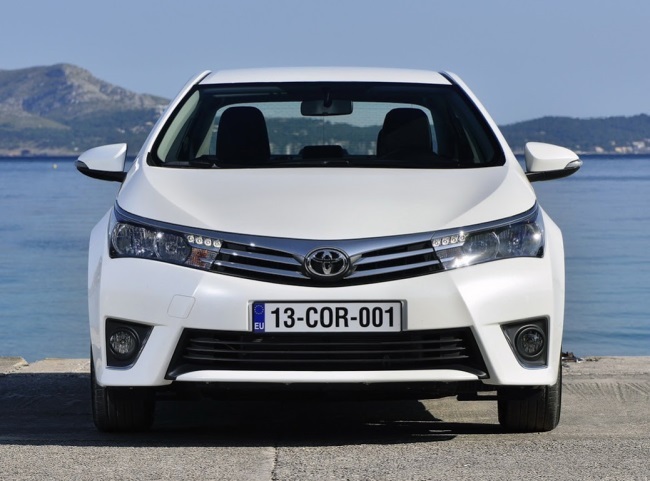 The Toyota Corolla name has been around since 1966, and in the years since Toyota has sold close to 40 million cars carrying the name "Corolla". The Corolla started life as a subcompact car, but since 1988 it has been a compact car. 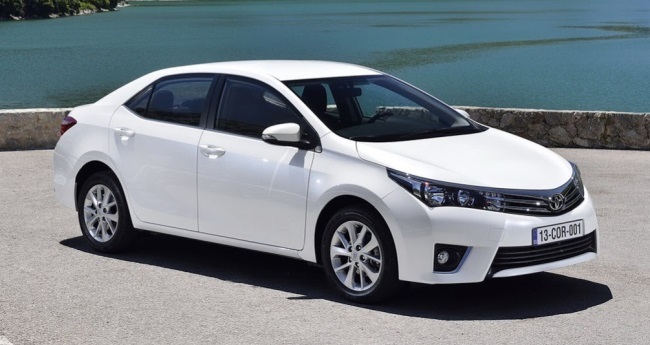 In Thailand, and the ASEAN region, it is know as the Corolla Altis. The success of the Corolla is probably down to a combination of solid engineering and build quality that has gained the car a very favorable reputation. The Corolla badge is synonymous with reliability. Some believe that Toyota has faltered slightly in recent years in terms of reliability, most still have to admit that Toyota cars in general and the Corolla specifically are reliable. Here in Thailand, Toyota is easily the top selling manufacturer. This is partially due to a phenomenon whereby a car sells well because the resale value is high because perceived quality is high. And because it sells well, and because the resale value is high, as a new car purchase it makes a lot of sense. Servicing and repair costs are also cheaper, because of economics of scale. It is easier to find parts, including second hand parts to keep your aging Altis going, and this is also down to the popularity of the vehicle, and it also contributes to the popularity of the vheicle. It is hard to see this situation changing any time soon. While there are other popular vehicles in the C segment here in Thailand, they are not likely to overtake the Altis any time soon. One big reason for this, is that the car of choice for the Bangkok taxi fleets is the Toyota Corolla Altis. While this use of the car is a cause of some stigmatism for the brand, and there are those who would refuse to buy one as a result of the taxi connection, the reality is that this is a massive boost to the annual sales of the car, and it assures Toyota of a large number of guaranteed sales. Then there are the stories you hear of taxi drivers abusing their cars, not servicing them properly, and still enjoying reliable motoring that the rivals can't match. But when things do go wrong - the story goes - every handyman at every garage in Thailand knows how to fix the Altis! So the Altis enjoys a kind of halo that the other manufacturers could only dream of. And for anyone who wants a safe investment, they will gravitate to the Altis. Now that we have established that the Altis will be snapped up by taxi companies, private taxi drivers, and people who like to play it safe, perhaps this article is pointless! After all, these people will buy the Altis even if it had a leaf blower under the hood. For example, the all-new Vios is all new in looks only. The technology underpinning the car is very old, going back to the first generation Vios, right down to the 4-speed automatic! Yet the car buying public here is so intent on buying a Toyota that the Vios outsells competition with 5-speed, and even 6-speed automatic transmissions available. That's bad enough, but the base model Toyota Camry also has a outdated 4-speed automatic transmission from a few generations ago. And yet it has also proved to be a very popular car here. Indeed the last Altis launch saw Toyota carry over engine and transmission line-ups directly from the outgoing model, despite the fact that other markets received brand new Dual VVTi engines at the time. Toyota only received these updates when the Altis reached midlife facelift, and even then, these updates only graced the higher end models. And the platform that the Altis rests on is not the most exciting in the segment either. While the Civic, Lancer EX, Mazda 3, and Focus all have multilink rear suspension setups, the Altis is sticking to the torsion beam. All this to say, it is highly likely that the new Altis will get the same treatment when Toyota rolls out the "new" model here in Thailand. The 2014 Altis will be bigger than the current model. A lot bigger. 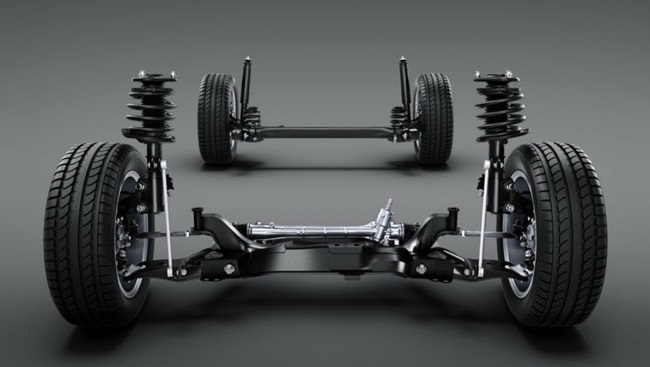 This will be especially apparent for backseat passengers, and since this is going to be most of us the 100 mm stretch in the wheelbase will be good news. The 2,700 mm wheelbase figure matches the current C segment leader, the Nissan Selphy. 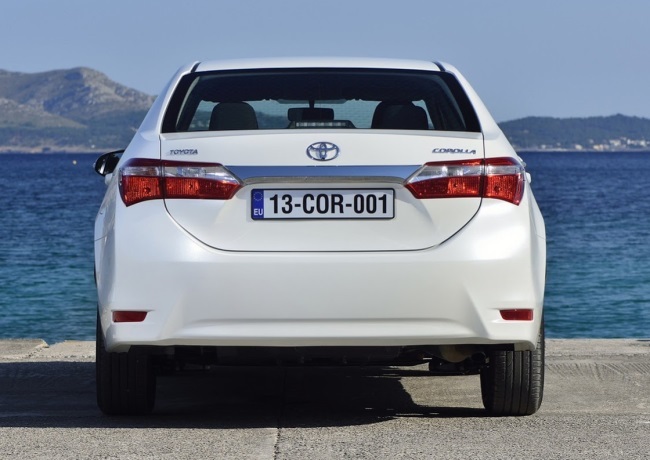 The wheelbase is not the only dimension to grow in the 2014 Altis however. With a length of 4,620 mm, width of 1,775 mm and a height of 1,465 mm, the car is 80 mm longer, 15 mm wider than the car it will replace. Height remains the same. The larger size will translate into a roomer interior for passengers, but it also means a larger boot, now at 452 litres. This is good, but well behind the 510 litres offered by the Nissan. The European model sees a refreshed interior. But if you look closely you can see that even in Europe, Toyota enjoys dipping into the parts bin of yesteryear here and there. The Thai version is likely to see corners cut here and there, particularly for the low spec models aimed at the taxi companies. But seen here in high-end trim, the Corolla looks modern enough. Having said that, cars currently on the market are arguably already sporting more impressive cabin designs. The Altis is a big slab of dull when put next to the Ford Focus cabin, for example. The big question is: where is the taxi meter going to fit? In Europe, there will be a wide range of engines on offer, but Thailand is unlikely to receive any of these, and instead we can expect the same 1.6 litre unit to power the majority of cars here (including all the taxis), with a 1.8 VVTi for the higher end cars. Still, let's take a brief look at the European options. They will have five engines to choose from, including one diesel and four petrol units. The 1.4 D-4D turbo diesel is a 90 PS unit with 205 Nm of torque from 1,800 to 2,800 rpm. This engine will be pared with a 6-speed manual transmission and return 3.8 litres/100 km while emitting 99 g of CO2 per kilometer. Why not bring this engine to Thailand? Because there is a belief that Thai buyers don't like diesel engines in their cars! Next up, the European Corolla gets a 1.33 litre Dual VVT-i motor, this time putting out 99 PS and 128 Mn of torque at 3,800 rpm. The petrol unit can't match the economy of the diesel, but 5.6 l/ 100 km is reasonable. The Europeans will also have two 1.6 litre units to choose from, a Dual VVT-i, and a Valvematic version of this engine. They will produce 122 PS and 130 PS respectively, while fuel consumption will be 6.3 litres and 6 litres per 100km. The top engine spec is a 1.8 litre Dual VVT-i, which will only be offered with a Multidrive S CVT transmission. This engine develops 140 PS, and 173 Nm of torque at 4000 rpm, with fuel economy rated at 6.4 l/100 km. Expect one of these 1.6 units and the 1.8 here in Thailand, eventually. 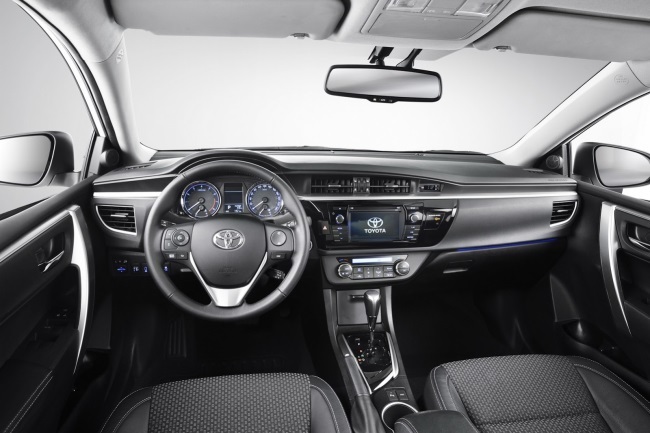 This new Altis will not be class leading in any area. There are better cars on the road right now, among them the Nissan Selphy is more spacious, offers good fuel economy and excellent refinement. The Ford Focus has more to offer in terms of driving dynamics and safety specification, offering side and curtain airbag options. It can also park itself. The Proton Preve also offers a solid safety specification, but at a budget price in this segment. But none of this matters. The Altis will arrive with old technology and Toyota will once again show its total contempt for the Thai market. The shame here, is that people will flock to buy the 2014 Altis. The competition will once again be left scratching their heads. Why put any effort into safety specification, or modern engine technology? All you really need to do is be called Toyota!